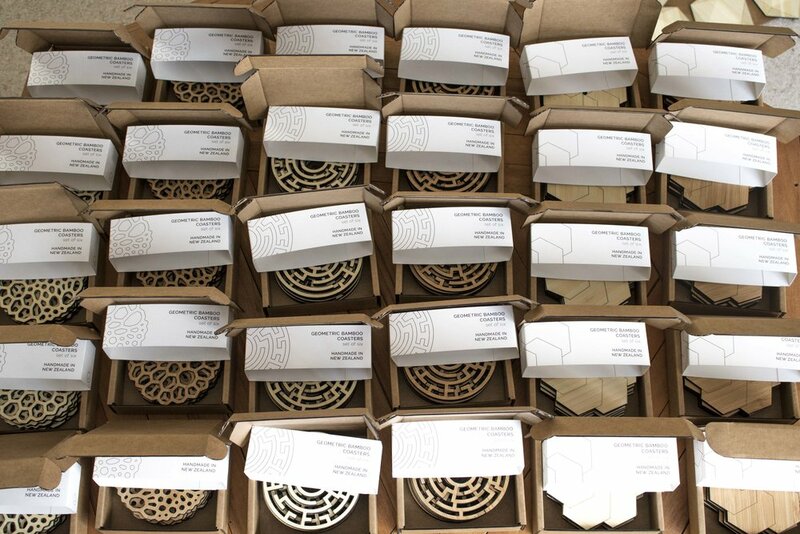 An avenue of interest I had been wanting to explore was using my laser cutter to create products that could be sold and shipped internationally. I wanted to learn the ins and outs of eCommerce platforms, learn more about online business management, wholesale selling and international shipping requirements. And as they say, the best way to learn is always by doing, so I designed a range of geometric coasters that could be my test platform.